of the fastest-growing health concern in childhood – anxiety. With the fast pace of modern life and the hidden pressures on our children, they need our guidance more than ever to better manage fear, worry and anxiety. One of Australia’s most popular parenting authors and a passionate advocate for mindfulness, Maggie Dent has been writing about calming children since 2003 (and that was before our kids even had iPads!). 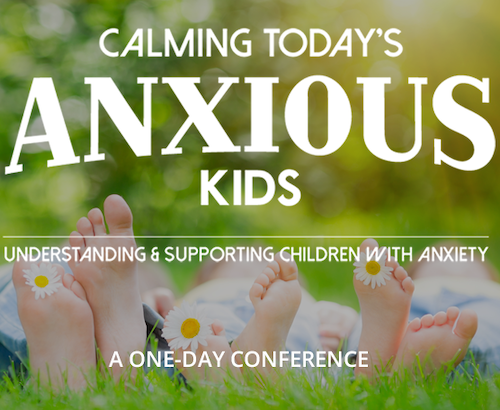 In this very special conference, Maggie is joined by two of her favourite experts to share their insights into anxiety in childhood and what we can do about it. Joining Maggie will be child and adolescent psychiatrist Dr Kaylene Henderson and a neurologic music therapist who specialises in brain care, Allison Davies. Together, they will not only explore why anxiety and associated behaviours occur, they will reveal tangible, simple strategies to improve our children’s ability to regulate themselves. How you can make your home or workplace calmer. Our speakers are not just authorities in their field — they are parents and/or grandparents who have a firm grasp on how life is for children today. This one-day conference is exclusively running in Melbourne, Sydney, Perth and Brisbane.